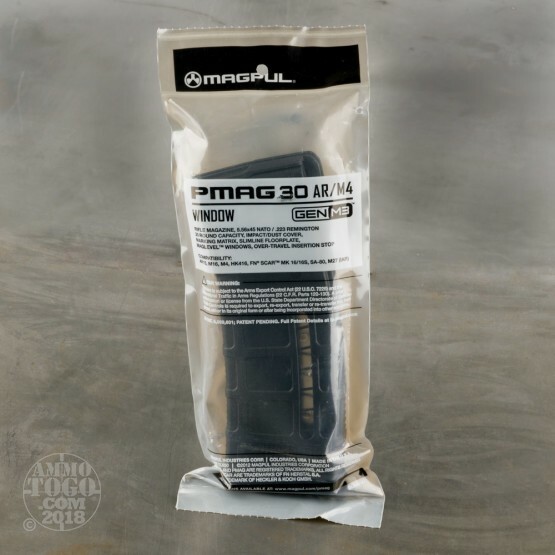 This is the Magpul PMAG P30 Gen M3 AR15/M16 Black 30rd. Mag Level Window Magazine. 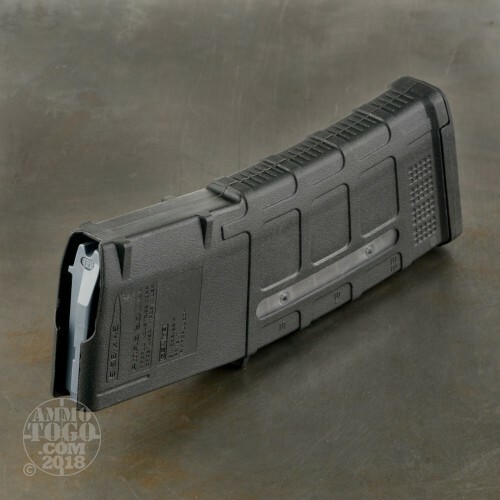 The next-generation PMAG 30 GEN M3 Window is a 30-round 5.56x45 NATO (.223 Remington) polymer magazine for AR15/M4 compatible weapons that features transparent windows to allow rapid visual identification of approximate number of rounds remaining. Along with expanded feature set and compatibility, the GEN M3 Window incorporates new material technology and manufacturing processes for enhanced strength, durability, and reliability to exceed rigorous military performance specifications. Modified internal and external geometry also permits operation with a wide range of non Colt-spec platforms such as the HK 416 and MR556A1, M27 IAR, British SA-80, FN SCAR MK 16/16S, and others. A redesigned bolt catch notch in the rear of the magazine provides increased bolt catch clearance, while an over-travel stop on the spine helps ensure the magazine will not over-insert on compatible weapons. Similar to the MOE PMAG, the GEN M3 Window features a long-life stainless steel spring, four-way anti-tilt follower and constant-curve internal geometry for reliable feeding, and simple tool-less disassembly to ease cleaning. In addition, an included pop-off Impact/Dust Cover can optionally be used to minimize debris intrusion and protect against potential damage during storage and transit. Low profile ribs and new aggressive front and rear texture gives positive control of the GEN M3 in all environments, and a paint pen dot matrix has been added to the bottom panel of the body to allow easy marking by the end user for identification. 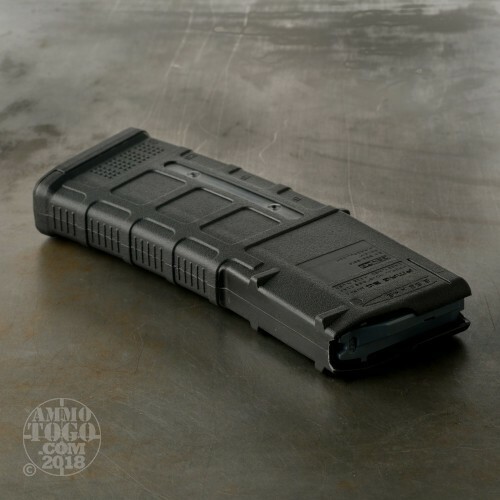 The new, easy to disassemble flared floorplate aids extraction and handling of the magazine while providing improved drop protection, but is slightly slimmer than before for better compatibility with tight double and triple magazine pouches. Durable dual-side transparent windows allow for quick determination of approximate number of rounds remaining in the magazine. Utilizing a high visibility indicator coil on the spring and numerical markers on the magazine body, the MagLevel system provides positive verification without affecting the durability or reliability of the magazine. Made in U.S.A.
Loads full, feeds reliably. Fits into my rifle and secures well. I really like the side window so I can see how many rounds are left. Price was good. I recommend these to anyone who needs magazines.